When it comes to online shopping, not all sellers are created equal. Third-party marketplaces on sites like Amazon and Walmart are meant to provide consumers with more options, but after a little digging, we found that in many cases, the benefits are overshadowed by what looks like an online version of the Wild West in terms of product pricing. The Internet has no shortage of e-tailers, and for good reason. According to the latest numbers from Pew Research, eight in 10 Americans today are online shoppers. This means that e-commerce is more competitive than ever before. From dollar-store pricing models to subscription-based approaches like Amazon Prime, retailers are getting creative with how they draw shoppers to their sites. 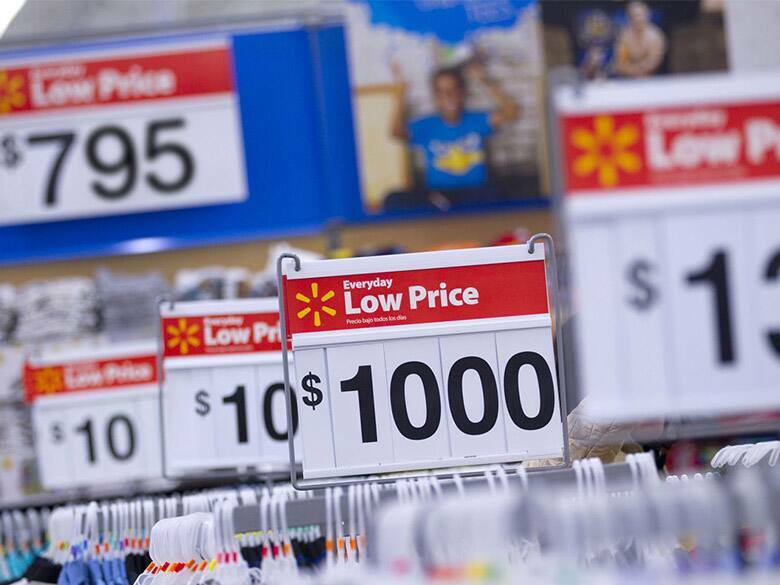 Walmart began placing extra emphasis on their third-party marketplace last year. Why? Bao Nguyen, a company spokesperson, told TotalRetail that investing in its third-party marketplace is part of its strategy to expand the company's selection of items. "Our assortment on Walmart.com has grown from less than 2 million four years ago to 9 million now through a mix of first-party and third-party items, and we aim to be in the tens of millions of items in the next few years," he said. The stakes are high; Walmart is currently the second most-visited e-commerce site in the U.S., right behind Amazon. But online shoppers may want to proceed with caution. Ideally, the third-party marketplace would offer items that are normally unavailable online, and prices would be competitive across the board. Unfortunately, that's not what we've seen as the norm. As someone who does a great deal of online shopping, primarily through Amazon Prime and Walmart's ship-to-store option, I rarely come across any incentive to stray away from first-party sellers, especially since prices for third-party sellers are all over the place. You really have to do a lot of digging to make sure you're getting a fair price. Take this 96-count of Caribou K-Cups, for example. At one point, Amazon was selling them directly for $47.99 with free two-day shipping through Prime. While this product is currently only available through third-party sellers, the markup is pretty high, ranging anywhere from $53.50 to $60 for the same item. It's even higher if you buy through a Walmart.com third-party seller (pictured above). One price here lands at $74.95 -- a markup that also comes with four-day shipping, not two. But the steepest third-party price increase is almost laughably over the top; $198.37 for the same exact item, with an even longer delivery time. The scenario plays itself out again and again across different categories. One of the most staggering examples we found was among diaper sellers. Take this 216-count pack of Size 1 Huggies Little Snugglers, which you could purchase directly from Amazon for $31.89 (or 20% cheaper if you're an Amazon Family member). Now for a fall-out-of-your-seat price gouge -- Amazon third-party seller BooksMan777 is selling the same pack of diapers for $101.97! That's not counting the extra $5.44 you'll pay for shipping. Perhaps the craziest part here is that the link says there are only three left in stock, which begs one very obvious question: Who's paying this much for these diapers? The price is more than $70 higher than Amazon's. Let's jump over to electronics. You can currently get a 17.3-inch MSI laptop for $4,599 with free shipping if you buy directly through Newegg. But the same item bought through GeekZilla, a Newegg third-party seller, lands at $6,099.15 -- a $1,500 difference. Is All of This Kosher? According to a 2016 Forbes report, the phenomenon is something known as "retail arbitrage." This is when sellers buy items, typically at a discount, then try to resell them at higher prices in order to turn a profit. The same report adds that Amazon's arbitrage policy is unclear. We did find some general rules regarding pricing, but nothing too strict. In a nutshell, Amazon sellers are encouraged to list items at any price they feel is fair, as long as they aren't selling them cheaper elsewhere. (Pricing policies for third-party sellers at Walmart and Newegg are less clear.) However, if you do come across what you consider to be price gouging, you always have the option to leave an honest review of the seller, which could impact their future sales. Of course, it's difficult for online shoppers to discern if a third-party seller is trying to pull the wool over their eyes. (There are plenty of honest sellers out there who are playing by the rules.) This is why your best bet is to shop around. Sites like camelcamelcamel are handy for tracking the price history of items sold on Amazon. I'm also a big fan of Wikibuy, which takes the hassle out of comparing prices. It also comes down to being mindful of the little "sold by" text. This sounds simple enough, but not all sites go out of their way to highlight third-party sellers. If an item is sold out on Walmart.com, for example, third-party offerings often look as if they're presented by Walmart. One way around this is to take advantage of "Seller" or "Retailer" filters whenever possibly to specify that you only want your search to include items sold directly by Amazon, Walmart, etc. Why Are Third-Party Sellers Even a Thing? It doesn't take a retail expert to see that buying directly from the retailer is a better bet for shoppers. Considering the usual perks -- like lower prices, easier returns, and free shipping—it makes us wonder why stores even offer a third-party marketplace at all. What's in it for them? As Nguyen mentioned above, it seems to be partly about expanding their offerings; third-party partnerships open the door to massive selection, presumably making the site more attractive to online shoppers. But, while online retailers are trying to offer more value through a wider selection, consumers are left to fend for themselves when it comes to pricing, shipping and customer service. There's also the fact that sellers pay to hawk their items on these high-traffic platforms. Third-party sellers on Amazon and Walmart, for example, fork over a cut of their earnings directly to the retailer. Amazon charges even more if sellers opt into their fulfillment program. What we're getting at here is that online mega-brands reap two big rewards for hosting third-party sellers: They expand their selection and they turn a profit in the process. As a consumer, I can't help but feel a little bit duped by the whole arrangement. There's a lack of transparency that has turned me into a slightly more cynical online shopper. I now make it a priority to only buy directly from the retailer. This requires a bit of additional work on my part within each platform, which is both annoying and time consuming; I wish I could just trust that this website I love isn't going to rip me off. But when I see $200 K-cups pop up on my screen, it's hard not to get peeved. (C'mon, Walmart!) Unfortunately, it looks like the third-party marketplace is here to stay.